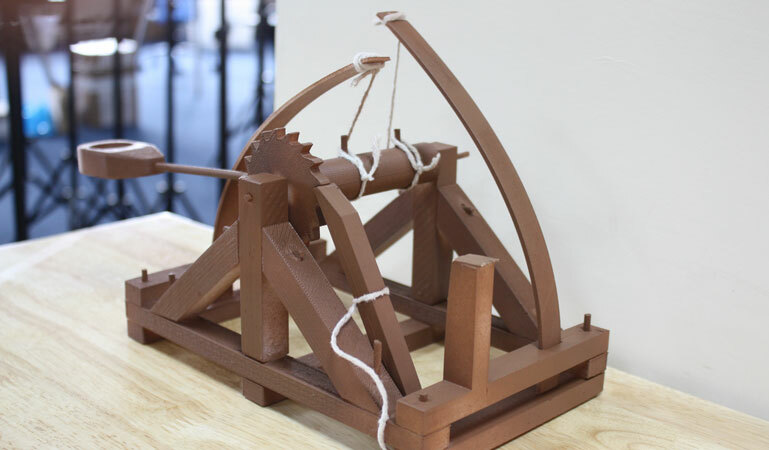 This catapult, based on the original designed by genius Leonardo Da Vinci, is an amazing model to 3D print. 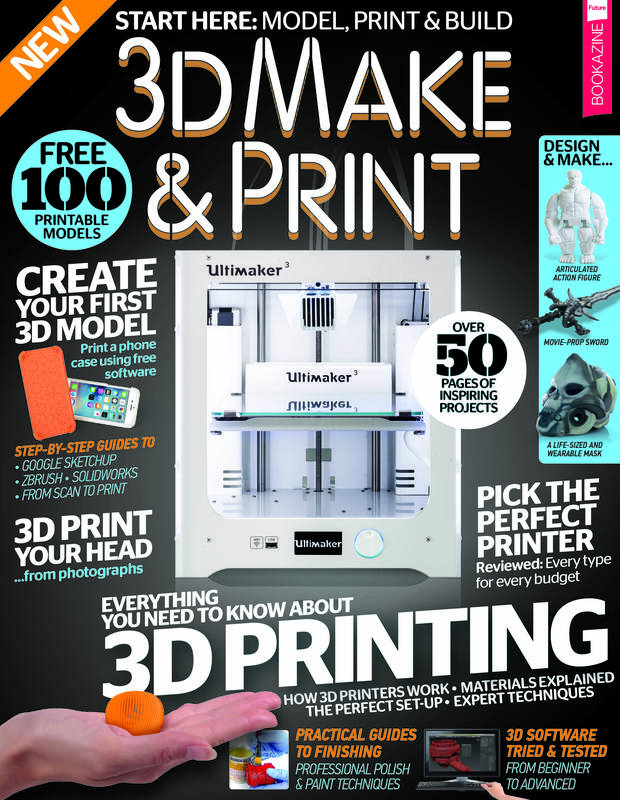 The many parts are printed separately and assembling the whole thing is an interesting and satisfying challenge. The catapult fires using the spring energy stored in two of the printed pieces. Ours was printed in white and then spray painted brown to give it a nice finish.